Find the best funeral insurance that will pay for the funeral you want. Comparing funeral insurance quotes can help you find cheap burial insurance so that your loved ones can pay for your final expenses. When reviewing Australian funeral insurances quotes from us, you can easily assess premiums and benefits while choosing the cover amount you want. This is generally between $5,000 and $15,000, depending on the insurer. Choose the best value funeral insurance at the most affordable price. Premiums do not increase as you get older, once the premium paid matches the sum insured you stop paying premiums altogether and first month is premium FREE! How much does it cost for a funeral in Australia? A funeral in Australia can cost you anywhere from $3,000 to $50,000, but this amount depends on the kind of funeral you want. For example, whether you prefer to be buried or cremated, the kind of urn or coffin you want, and if you want to have a service that includes catering and flowers. These factors will determine the overall cost of your funeral. How much does funeral insurance cost? Funeral insurance costs depend on the cover amount you choose. For example, generally, a 42-year-old non-smoking male purchasing $10, 000 worth of funeral cover, might have an average premium starting from as little as $23.99. Your exact premium depends on the insurer, and your personal circumstances, like your age or gender. Whether you’re thinking of funeral cover for the first time or looking to switch, it’s best to first compare quotes. The cover amount you choose: This amount generally ranges from $5, 000 to $15,000, with select insurers offering higher levels. It’s important to get the right amount of cover because funerals are expensive and too little cover might leave your loved ones to fill the gap. Personal details: Your age when you first purchase cover, your gender, whether you are smoker or non-smoker, and other lifestyle factors can greatly influence your quoted price. The type of premium: Your quote is affected by whether the insurer provides stepped or level premiums. Stepped premiums start cheaper, but increases every year. Level premiums start off more expensive but generally do not increase every year due to your age. Capped vs non-capped premiums: With capped premiums, you’ll never pay more for your policy than what it’s worth. With non-capped premiums, your premiums will continue to increase and might even exceed the worth of your policy. The accidental death period: Most policies will only pay out a death benefit within the first 12 months of your policy commencing if death is due to an accident. However, some insurers extend this period to 24 months and even longer. If you’re replacing an old policy with a new one, this waiting period can be waived but it depends on the insurer. Multiple lives insured: You can get a discount of up to 10% from select insurers when you and your spouse purchase a policy from the same insurer at the same time. Payment frequency: You can save between 5% to 8% per year on your premiums from select insurance companies when you pay yearly or fortnightly, due to the reduced amount of admin that would need to be done. A free month: There are some funeral insurance companies who offer new customers the first month free. What is the best funeral insurance in Australia? The best funeral insurance in Australia is one that suits your individual requirements and gives you value for money. To find this kind of cover, it can be helpful to compile a list of the top insurance companies, read reviews from customers, and see what the top policies have to offer you. There are no one size fits all. Level premiums, which are more expensive at the start but does not increase every year due to your age, so it might be more affordable in the long-term. Capped premiums, so you don’t pay more in premiums than what you’re covered for. Discounts when paying fortnightly or yearly and when adding your spouse to the policy. Shorter waiting periods for the accident-only period. A full refund of all premiums paid if you die of natural causes within the accident-only period. Worldwide cover, so that if you die during your travels out of Australia, the funeral benefit will still be paid out. Stepped Premiums: While stepped premiums start more affordable, they increase every year because as you get older the risk of you dying increases. You might be able to afford the premiums at first, but it’s important to consider whether you’ll still be able to afford it in the long-run. You could end up paying more in premiums than the cost of your funeral cover. Long accident-only death periods: Generally, you’ll only have cover for accidental death for the first 12 months of your policy starting. While this period is typically only 12 months, there are some insurers who extend this period to two years. What is capped funeral insurance? Capped funeral insurance premiums mean you’ll never pay more in premiums than the cover amount you chose. This is usually the type of final expenses policy you want because it prevents you from paying more than what your policy will one-day pay-out. What is level funeral insurance premiums? Level funeral insurance premiums is a premium type that starts more expensive but does not increase every year because of your age, this excludes yearly inflation and stamp duty. Stepped premiums might seem more attractive because they start off cheaper, but will increase every year as your risk to the insurer increases. 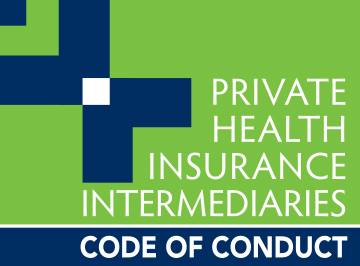 One of the best ways to ensure you find level premiums that are capped is request quotes from a variety of companies and carefully review the products disclosure statements (PDS). nib Health Funds: Offers you a maximum sum insured of $15,000. The minimum entry age is 18 and the maximum entry age is 80. Their added benefits include your choice of single or family plans, double cover for accidental deaths, a premium protection benefit, and an inflation protection benefit. GIO: Your options of $30,000 maximum sum insured for stepped premiums and a $15,000 maximum sum insured for level premiums. The minimum entry age is older, at 45 years, while the maximum entry age is 75 years. This policy gives you a 20% discount on your premiums when you purchase a joint policy with your partner. AIA: MaxLife Final Expenses offers a maximum sum insured value of $15,000, eligible to people from age 18 to 75 years old. They also offer joint policy discounts for you and your partner and 24/7 worldwide cover. APIA: Provides a maximum sum insured value of up to $30,000 with stepped premiums and up to $15,000 for level premiums. The entry age is 45 years old and the maximum entry age is 75 years old. You can get a 10% cash back amount every 3 years that you maintain your policy without claiming. Suncorp Direct: Gives you the chance to cover the whole family, with large sum insured discounts and a 10% cash back on all your premiums every 3 years that you hold your policy without lodging a claim. Choose between a maximum cover amount $15,000 for level premiums and $30,000 for stepped premiums at an entry age of 45 to 75 years old. ANZ: 50 Plus Life Cover Capped from ANZ offers a maximum level of cover of $15,000. This policy is specifically for older Australians, with an entry age of 50 years and a maximum entry age of 70 years. If you go were to experience financial hardship at any time after the first 12 months of your policy commencing, then you could get your premiums waived for up to a maximum of three months. Note, your cover will not be active during that time. 1300 Insurance: Ezicover Funeral Advantage provides you capped premiums with a $15, 000 maximum level of cover. The entry age is 35 years old and the maximum entry age is 75 years old. Australian Seniors Insurance Agency: Funeral Insurance Plus is tailored for Australians of advanced years, with up to $15,000 cover. Minimum entry age of 18 years and a maximum entry age of 79 years. Your premiums will decrease by 5% every 5 years that you keep your policy and don’t claim. Let’s Insure: Funeral Cover Fixed offers you a maximum of $15,000 for level premiums and $16,000 for stepped premiums. With their Early Cash Payout, you can get 100% back when you turn 85 years old, as well as worldwide cover. The entry age is 18 years old and the maximum entry age is 70 years old. HBF Financial Services: Ezicover Funeral Advantage gives you cover for up to $15,000 and, apart from inflation, your premiums won’t increase every year. The entry age at 35 years old and the maximum entry age is 75 years old. Real Insurance: Their Guaranteed Funeral Insurance policy will pay out either your chosen cover amount or the total premiums you have paid for your cover – whichever is more. The maximum sum insured is $15,000, available for those between the ages of 18 and 79. American Express: Their Ezicover Funeral Advantage has a $15,000 maximum level of cover. The entry age is 35 years old, while the maximum entry age is 75 years. Insuranceline: Available to those between 21 and 85 years of age with a maximum sum insured of $15,000. Insuranceline commits to paying the funeral benefit within 24 hours of lodging a valid claim. Medibank: Available to those between 18 and 79 years of age with a maximum cover amount of $15,000 to cover your funeral expenses. Premiums will decrease by 3% for every 5 years that you keep your policy without claiming. 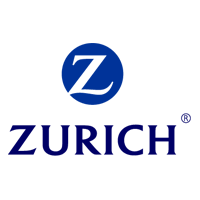 Zurich: Ezicover Funeral Advantage offers up to $15,000 cover for Australians between 35 and 75 years of age. You can cancel and get a full refund within the first 30 days of your policy’s commencement. Can you have multiple funeral insurance policies? Yes, you generally can have multiple funeral insurance policies. However, you must take the underlying insurer of each policy into consideration. If you have more than one policy from the same underlying insurer, chances are they will stipulate a clause stating the maximum amount payable when a claim is lodged. The key is to be as transparent and fully comply with your duty of disclosure. While you are gathering quotes, take the time to inform your current insurer(s) of your plans to take out separate policies. They can then advise you whether this will impact your future claim payouts. Reading funeral insurance reviews from customers will provide you more insight into how these companies treat their clients and how quickly and easily claims are paid. Negative reviews are not the only way to make sure that you get the cheapest and best quality funeral insurance in Australia, you need to compare funeral insurance quotes based on your unique requirements. Step1: Consider the long vs short-term affordability by reviewing whether the insurer offers stepped or level premiums, capped or non-capped. Step 2: Check if you qualify for the maximum entry age and at what age the policy will expire. Step 3: Review whether the company offers discounts when adding your spouse and when paying quarterly or yearly. Step 4: Ask whether you’ll get the first month free and whether your premiums will decrease when not claiming for 3 to 5 consecutive years. Step 5: Review your policy on a regular basis to determine whether it’s still providing value compared to other funeral policies. Funerals are expensive. Review our guides, understand the basics and confidently choose the right funeral insurance cover for you. 7 Ways to cover the cost of your funeral. Choose a funeral cover option for your specific requirements. We also review life insurance vs funeral insurance. I am currently with Australian seniors and want to change providers. I have been with them for 2 years paying $27.13 fortnight for 33k cover is there other providers out there which provide better cover. Thanks for reaching out. You might want to start your search by reviewing the best funeral insurance policies for seniors. Please note, there are many other ways you can pay for your funeral if the insurance premiums become too expensive, including funeral bonds and pre-paid funerals. To provide you the most affordable funeral cover we require a bit more information, including your age, smoking status and the state you live in. Simply complete the quote form above and you will be directed to a funeral price comparison in less than 60 seconds. My husband and I are now 86 – still going strong – not thinking of funeral insurance. Is it too late to start something now? Generally, the maximum age you can apply for a funeral policy is 75, depending on the insurer. However, there are other ways you might be able to save money for your final expenses, for example, pre-paid funerals and funeral bonds.